Conveniently located on Minnesota Avenue in downtown Bend, Good Drop Wine Shoppe is the place to drop in for an incredibly wide selection of wines from around the world. Vintages from Bordeaux, France, and the Napa Valley mingle with bottles from Walla Walla, the Willamette Valley, and other parts of the Pacific Northwest. 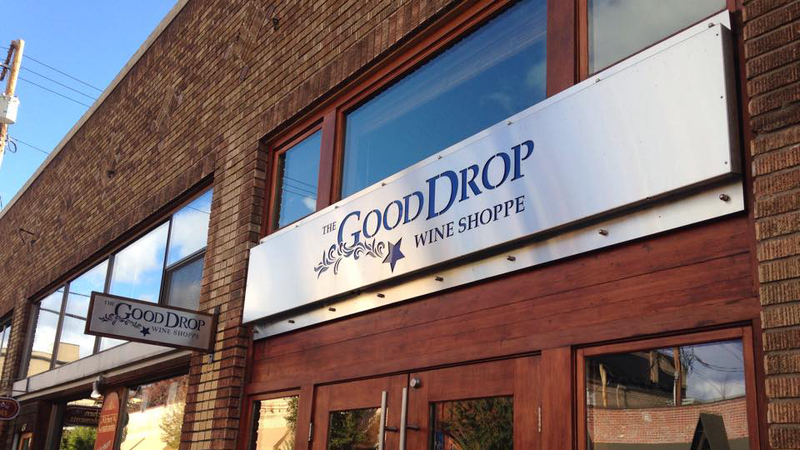 Good Drop Wine Shoppe has the “tough job” of searching the globe for the very finest wines and is committed to exceeding the expectations of discerning palates by seeking out wineries and wine makers that still make great wine. They also delight in introducing customers to unusual selections and sophisticated subtleties. The store is open seven days a week so you can sit and enjoy a glass or buy a bottle to take with you; or both. True oenophiles will appreciate Good Drop Wine Shoppe’s wine club with different levels designed to provide novices and connoisseurs with the opportunity to appreciate variety and value in premium wines as well as allocated boutique wines. And Good Drop Wine Shoppe’s downstairs room is available for rent for private tastings or other special events in an intimate setting.